The internet is a huge space. You can easily get confused if you try to think the number of sites that it contains and the amount of content that it houses. Well, the amount can be insanely staggering. In fact, it is, and surviving in that space with a great brand reputation is a challenge because you always have someone talking negatively about your brand. So how are you going to manage your reputation on this fluid digital eco-system? The brand name is your intangible asset because it defines the value of your business; hence, it is important that you need to find the brand mentions on the web so that you can know what people are talking about your brand? Are there any negative reviews that are likely to hurt your brand image? The study suggests that more than 85% of the people read the customer review before making a purchase. So, it is important to locate the brand mentions. Well, you cannot sit and Google whole day to find out the brand mentions. In fact, you can use tools such as Reputation.com, Reputology and Trackur to find the brand mentions. These tools are not free tools but you can certainly use Google Alerts to get the brand mentions online. You have the options of choosing weekly alert or alerts as the event take place. It is understandable that nobody is perfect, and it is very human also to go wrong at times but how you respond to the challenge defines your success. Ensure that you respond to the negative reviews in a timely manner. Never try to defend yourself because the defense is a weak man’s game. If you think that reviews are genuine, then offer the right solution for the problem. It is possible that a customer might have encountered some problems with your products and services. So, it is your duty to provide the right solution. You can bring the customer to an offline communication channel and provide the perfect solution. In this way, you can save spreading further negative content. Remember that human is argumentative because all are conditioned. Some words, some ideas, and some thoughts trigger emotions but you need to tame your anger. Never indulge in the unnecessary arguments. Yes, it is understandable that someone might be wrong but make sure that your business is more important than ego. So, behave properly. In fact, all the above-mentioned methods are time-consuming and sometimes tricky affair because if you do not know how to handle certain issues like the Rip-Off Report website’s reviews or the Yelp reviews, then you might complicate things further. 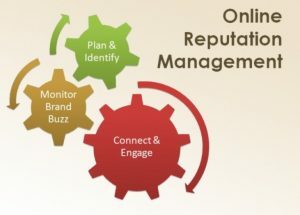 Therefore, it is advisable that you find an expert and experienced online reputation Management Company that can offer you a cost-effective and comprehensive solution so that you can manage and maintain your reputation. The reputation is the key factor of your brand and business because that sets you apart from your competitors. So, take care of it.